It's $2 Tuesday time for a couple of my designers. Let's start with Connie Prince. Mirror Mirror is one my favorite collections by Connie. But then, we all know how much I love Disney, right? Let's Go Coastal is a wonderful collection for scrapping those beach photos. Or other vacation spots. Before moving on to Kristmess Designs, I want to remind everyone that today is the last day to grab those Retiring Products from Designs by Connie Prince. There are some pretty awesome collections retiring. Sparkle and Shine comes to mind. You don't want to miss these! View the 45 products retiring at Gotta Pixel here. View the 45 retiring products at GingerScraps here. Remember, once these are gone, they are gone forever. Kristmess Designs is offering the Nifty 50's Page Kit and coordinating Alphabet for $2 each today only. Check out the entire Nifty 50's Collection on Gotta Pixel here. The rest of the collection is 25% off. Another $2 Sale to note from Kathryn Estry Designs. Today is the 65% off CU Flash Sale at CU Digitals. 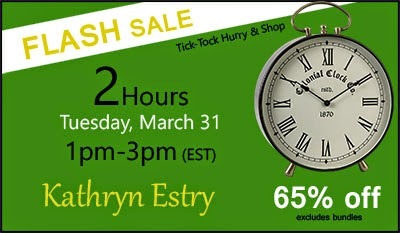 All of Kathryn's Commercial Use products at CU Digitals will be 65% off for 2 hours on Tuesday, March 31. Stop by my store for your favorite CU products between 1 and 3 pm EST. (Note that it’s EST, not EDT, so it would be 2 - 4 pm EDT.) Click on the image above or CU DIGital here. There are some really great products there! 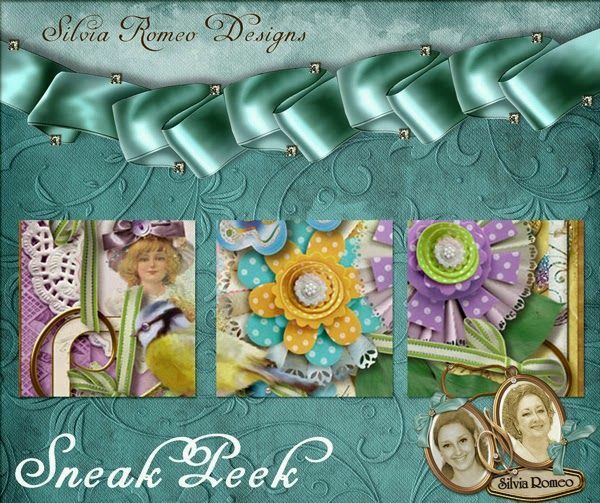 This may not be a $2 Tuesday sale, but I would sure love to point out the Sneak Peek on this week's release coming up for Silvia Romeo Designs. Click on the image below and pop on over to Silvia's Blog for full details. I think that about wraps things up for today. The first is Rain Drops Quickpages-(mhos7jo) by: Marniejo’s House of Scraps. The downloads are placed in your shopping cart on My Memories and are available in both My Memories software version and a general version you can use in other programs. You have your choice of Windows or Mac on the My Memories software. These wonderful stacked and decorated papers were made as part of my Happy Go Lucky Collection. This collection is perfect for all your St. Patrick’s day celebrations, but versatile enough for many other spring pages. Kristmess made these stacked pages slightly different and have saved both the background layer (papers) and the foreground layer (clusters) separate (as well as the flattened jpgs). This allow you to put your photos between the two layers if you wish!!! We both hope you find these more helpful than the standard flattened jpgs. You'll also want to check out this new release of two quick pages created using To Have & To Hold Collection, currently available at a 55% savings. Details are on the special blog post, March 6, 2015. Good luck to everyone! Be sure to get your comments posted by Monday, March 9, 2015.